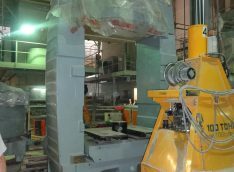 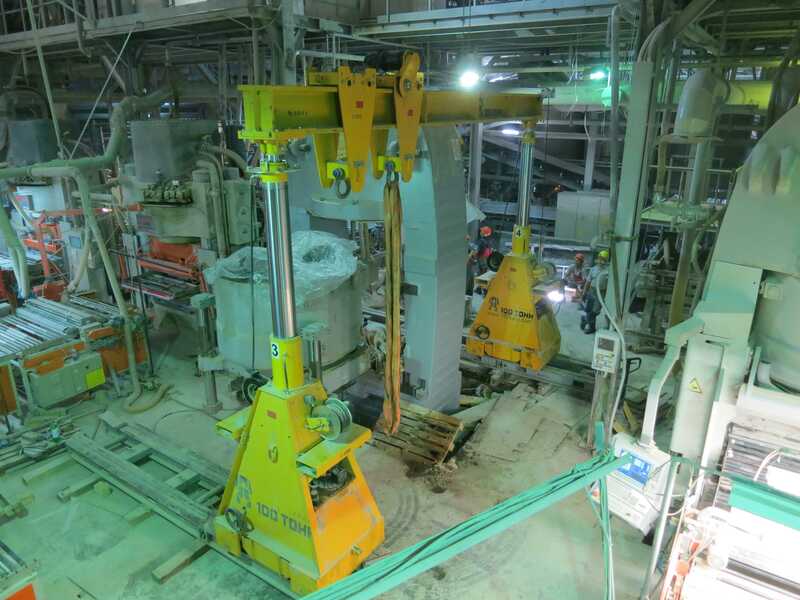 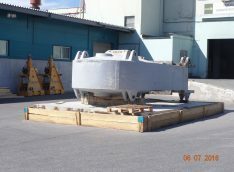 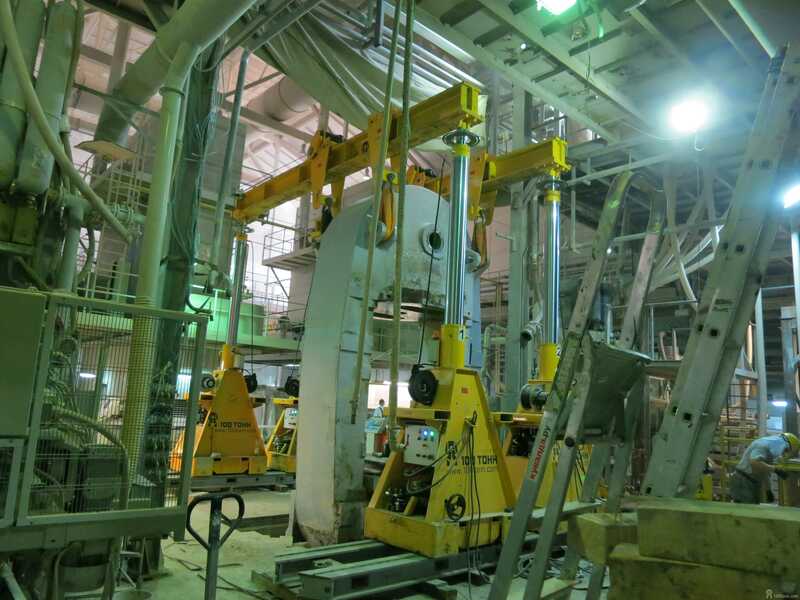 Our specialists (100 TONN MONTAZH) implemented a complicated project of SACMI press body replacement (Italy) at Samarsky Stroyfarfor in July 2016. Confined condition of the operating plant did not make the implementation of the project easier. Dismantling of the old press body and installation of a new body were performed with the use of a 125-ton hydraulic gantry system. 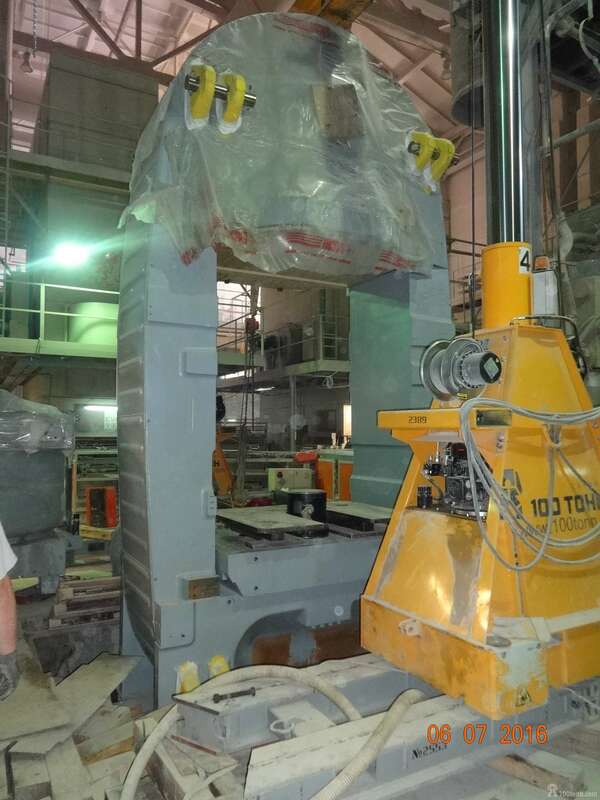 The mass of the press is 56 tons.